24 hour emergency services - Because we know emergencies have the worst timing. Technicians who arrive in a professional & timely manner - Our techs wear protective shoe covers to keep your floors clean and always put down drop cloths when handling an installation. An HVAC company with ACCA certification and an A+ rating from the Better Business Bureau - We also have excellent review ratings on Google and Yelp. We have a great selection of heating systems for you to choose from, and our technicians excel at installing and servicing each and every one of them. Call to learn more today! Ready to get started? Schedule a heating service in Chicago today! Boilers: A boiler is a great heating option, and because they do not utilize ductwork, but rather radiant heating equipment, radiators, or baseboards, they are able to operate with great efficiency and evenness. Call now to learn about the benefits that boilers have to offer. We can answer all of your questions. Furnaces: Furnaces are among the most popular of home heating options. They act fast, and they are able to heat homes with great efficiency. We install and service both gas and electric models throughout the Chicagoland area. Heat Pumps: In terms of heating efficiency, heat pumps are tough to beat. They use a heat transfer process, which utilizes the existing heat to warm your home. Let us know if you are interested in a heat pump installation or service. Radiant Heating Systems: By using heated liquid or electric panels to warm surfaces rather than the air directly, radiant heating systems offer some of the highest quality heating available. The installation of such equipment is complex, though. Allow a trained professional handle your radiant system installation. Ductless Heating: Just because your home cannot accommodate air ducts is no reason to give up on the central heating dream. Ductless heating is a viable option. It is a great way to cut out the energy loss that air ducts are sometimes prone to. Mitsubishi Ductless Mini Splits: Mitsubishi has distinguished itself as the frontrunner when it comes to ductless mini splits. We are proud to offer Mitsubishi ductless mini splits for installation in your home. Call today for more details. Thermostats: It may not be the biggest piece of heating equipment that you’ll ever purchase, but your thermostat is certainly a very important one. You cannot expect your heater to operate efficiently or effectively without a great thermostat. We have plenty thermostats for you to choose from. Zone Control Systems: With a zone control system you can take greater control over your heater than you ever have in the past. We can tell you how. Call ServiceMax today to experience truly great heating in Chicago, IL. Pool Heater: Are you interested in controlling your pool’s temperature to extend the days you can comfortably spend in your pool? With a pool heater, you can maintain temperatures for your pool all year round. For quality pool heater services in Chicago, IL, contact our experts today. We install a number of quality systems, including furnaces, boilers, heat pumps, and ductless mini splits. You can’t expect to heat your home effectively and efficiently without a high quality heating system. Even the best heating systems, however, won’t operate at peak performance levels if you do not schedule your heating installation with a trained, qualified professional. Our technicians are extremely skilled and extensively trained, and we use top quality products from trusted manufacturers such as Rheem, Trane, and Mitsubishi. When we install your heating system, we will do the job right. Call today to schedule heating services in Chicago and the greater Chicagoland area. We offer the routine maintenance and emergency repairs that you need to get the most out of your heater. Whether you hear a strange sound that has you concerned, or you just need to schedule your annual heating maintenance service, we are the contractors to call in Chicago. With our years of training and experience, you can count on our technicians to ensure that your heater is kept up and running at peak performance and efficiency levels. Do not allow subpar heating services to keep you from enjoying the outstanding heating output that you need during the coldest time of the year. Pick up the phone, dial our number, and speak with a member of the ServiceMax team today. Your comfort and complete satisfaction are our top priorities. We know that there are a lot of heating contractors out there for you to choose from. 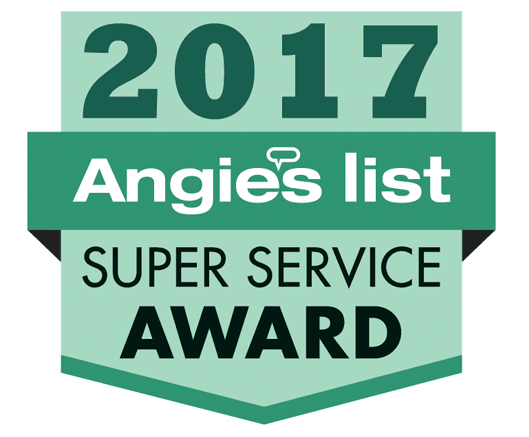 As an Angie’s List Super Service Award and BBB Complaint Free Award winner, we offer the service quality to ensure that you will never regret your decision when you entrust your comfort to us.